We were expecting interstate relatives to visit us in Perth so I thought why not have a family dinner together at home? Instead of going out like we usually do, I used the convenience of FeedUp to invite my guests and make arrangements. 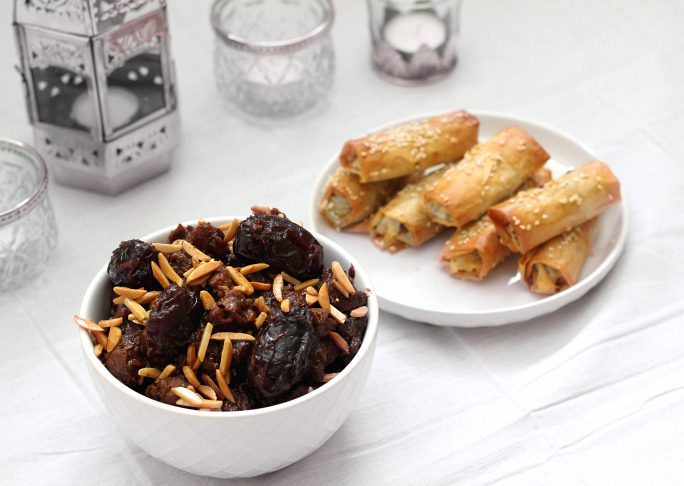 I then prepared a fuss-free feast at home that was centred around my favourite Moroccan lamb dishes – a sweet tasting lamb and date tagine alongside super crunchy lamb filo cigars (that incidentally disappeared from the table rather too quickly!). 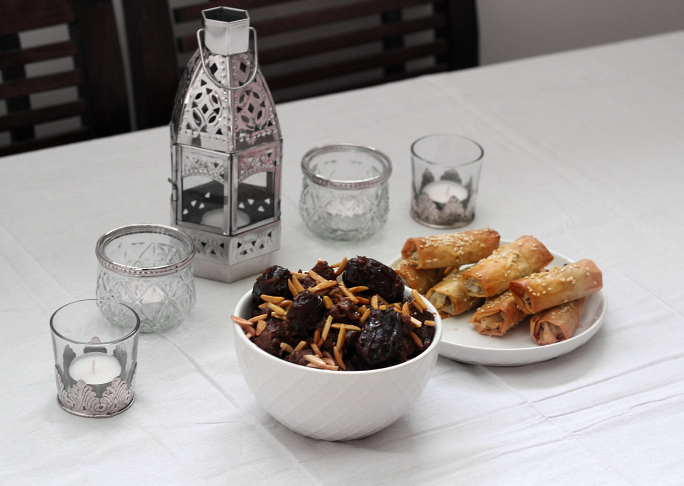 I decided to set the table using pieces inspired by my Moroccan theme, finding silver lanterns and little silver cups that doubled as candle holders at my local shopping centre. These simple touches made the dinner table feel special, adding to the party atmosphere. In the end, my simple styling and home cooked lamb meal turned what could have been a quick bite and catch up outside into a memorable family gathering. We were able to relax, laugh, chat and take our leisurely time, connecting over our beautiful lamb dinner. 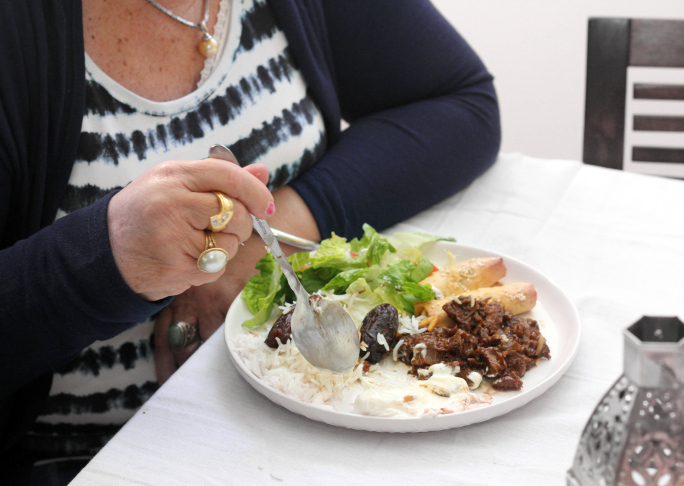 The Moroccan lamb-based menu was the perfect choice for a family get-together. 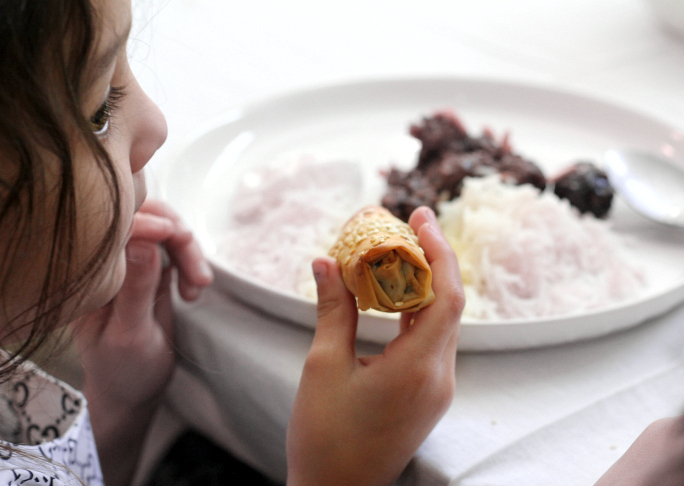 The lamb filo cigars are very quick to make and the lamb and date tagine was tantalisingly simmering away on the stove for most of its cooking time, leaving me free to sit back and relax with my guests while dinner pretty-much cooked itself! On a low heat, heat the oil and then add the onion. Cook until the onion softens. Switch to a high heat, add the lamb and garlic. Stir occasionally for five minutes, browning every side of each piece of meat. Add the cumin, ginger, paprika, cinnamon, saffron, harissa, coriander and parsley. Add salt and pepper according to your own taste and cook for one minute, stirring. Drain the lamb mixture in a sieve to remove excess oil. Transfer it to a bowl and stir in the egg once the lamb has cooled. Lay out the filo pastry sheets in a stack on a cutting board, with the longer side facing you. Cut the filo sheets into thirds and place into one final stack on a plate, covering with a tea towel to prevent them drying out. Take one filo piece on the cutting board, brush with a little of the melted butter and place another strip neatly on top. Spoon one tablespoon of the lamb mixture onto the end of the strip, Make sure there is at least 1cm of pastry showing at the top and sides of the lamb mixture. Fold the top of the pastry over the lamb mixture, followed by the sides and roll into a cigar-like shape until all of the strip is firmly wrapped around. Repeat the same for the remaining pastry strips. Place the cigars on a greased baking tray and brush the tops with melted butter. 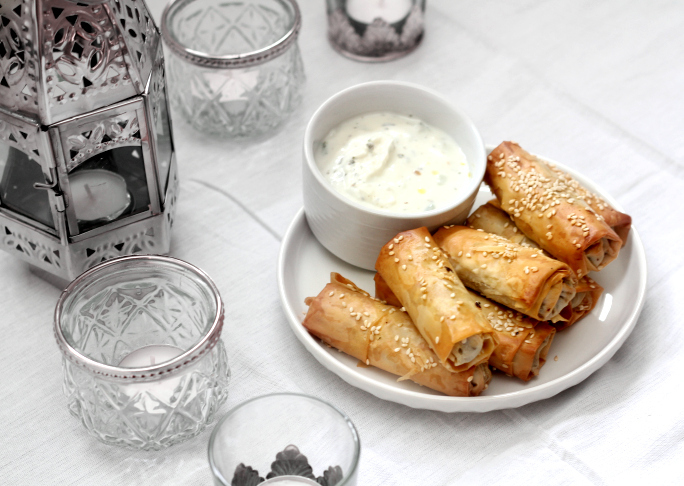 Sprinkle sesame seeds and cook in a 180°C oven for 15 minutes or until lightly golden. Melt butter in a large pot over a low heat. Add the onion and cook gently for five minutes. Sprinkle in the ginger, cinnamon and black pepper, stirring constantly for a minute. Turn the heat to high and sauté the diced lamb until it browns on all sides. Reduce to a low heat and add 375ml of water, the chopped dates, saffron and 1 teaspoon of salt. Cover with a lid and simmer for 90 minutes, stirring occasionally. Stir in the honey and lemon juice. Place the pitted dates on top (don’t stir), cover and simmer for ten minutes. On a low heat, melt the extra butter in fry pan and lightly brown the almonds, immediately placing them on a paper towel to ensure they don’t continue browning. Remove the whole dates from the top of the pot and set aside on a plate. Ladle the meat into a serving dish and scatter the whole dates and almonds on top. If you like, you can also sprinkle strips of preserved lemon rind. Serve with either rice or couscous. How long since you’ve hosted a dinner party at your place? For even more recipes, head to We Love Our Lamb. 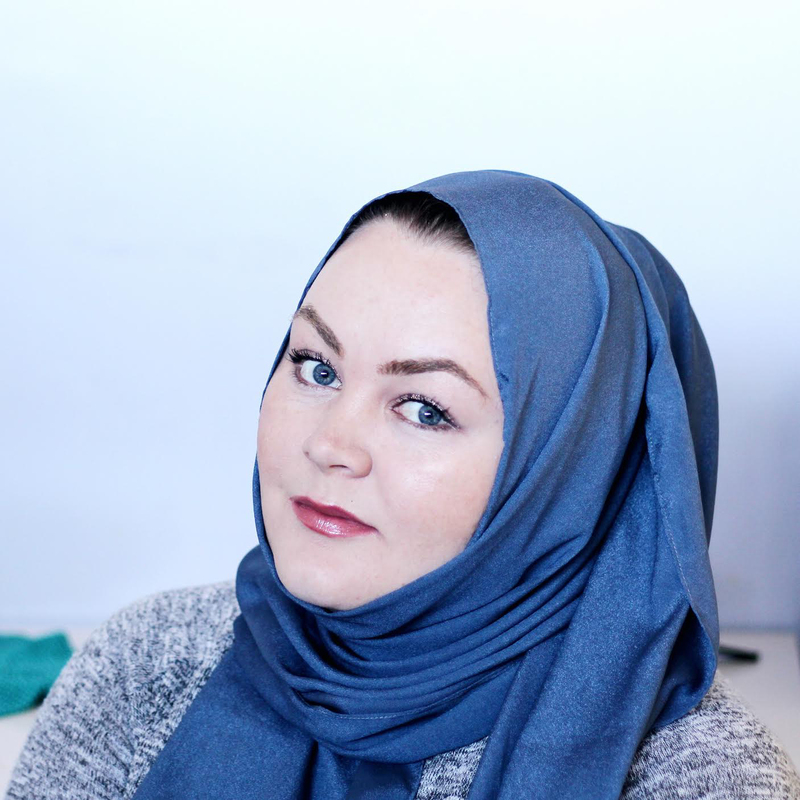 Ange is an Aussie Muslim mother of two, a lover of coffee, good looking food and all things beauty related. On her blog, Diary of Ange, she shares her experiences with tried and tested beauty products and procedures, local foodie spots and general lifestyle tidbits.